Washington, the Evergreen State, is a beautiful place to enjoy. It is geared towards people who tend to be a bit more outdoorsy because of the forests. However, the state offers a little something for everyone to enjoy. Many people plan long vacations to explore the beautiful state, while others decide to make it their permanent home. Plan your trip to Washington. 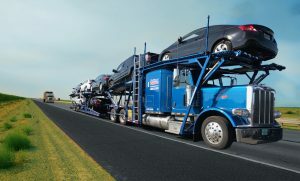 Regardless of if you are planning a long vacation or a permanent relocation, there are several perks of shipping your vehicle to Washington for the duration of your stay. Why should you use a vehicle transport company? It is a stress-free way to get your car to your new destination. You do not have to worry about putting on the extra miles or the wear and tear that is inevitable when driving several hundred or several thousand miles. At National Dispatch, we can help get your car to its destination without the added pressure of booking hotels, eating at restaurants for every meal, and all the additional stressors of a major road trip. You save money! Renting a car for a long vacation can add up. Often times, you have to be within a certain age limit to rent a car and if you fall outside of those perimeters you are charged with an extra driver’s fee. You also have several other fees including, extra insurance, gas, and a daily rental fee. These expenses can add up. The best option would be to ship your personal car using an auto transport company. You are comfortable in your own vehicle. You know your car and how it drives. All the settings are already set to your own preferences. You know which side of the car to put your gas in. You know how your brakes and ignition work. If something minor happens in your own car, you are likely to be less stressed, versus a borrowed or rental car. If you scratch or dent a rental car, there will be a big fine. If you scratch your own car, you may be disappointed, but there will not be a big to-do. Where Should I Go In Washington? While in Washington, you will want to be sure to visit the top spots. Below, you will find a list of a few of the greatest attractions Washington has to offer. Olympic National Park, located in Port Angeles, has remarkable sights to see. From spectacular ocean fronts to rich forests, this park is nothing shy of beauty. The park encompasses about a million acres of protected wilderness and includes several distinct ecosystems, including glacier-capped mountains, rain forests, lakes, and beaches. Visitors of the park often enjoy fishing, backpacking, camping, boating, photography, and much more. Learn more about Port Angeles. Even people who are not major airplane enthusiasts will enjoy visiting the Boeing Factory located in Mukilteo, WA . Here, you can take a tour of a commercial jet assembly plant. You can also explore the many exhibits including Destiny, a look into what it is like to live and work at the International Space Station. For people who are a little more hands-on, be sure to stop by The Family Zone where visitors can build a simple aircraft model, construct objects out of Legos, and learn about nanotechnology. 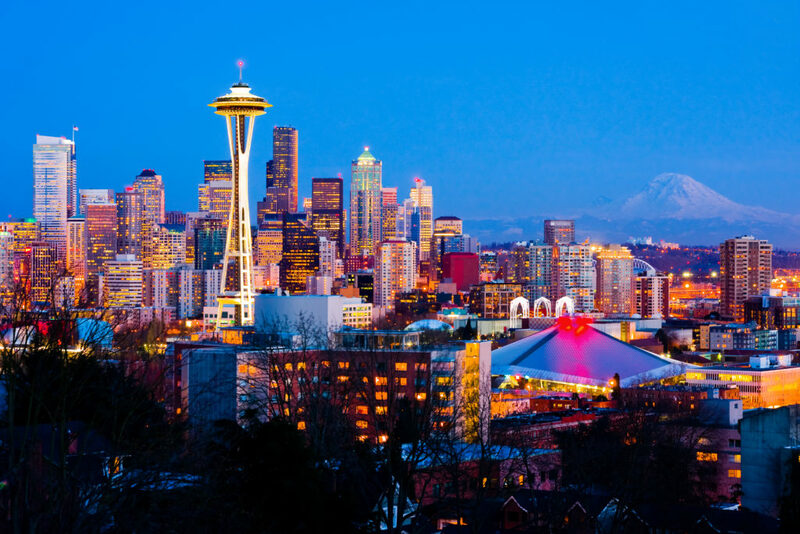 The city of Seattle has much to offer. While you are there, make sure to check out the city center. Here you will find the iconic Space Needle and Monorail that were built in 1962. While they were intentionally built for the World’s fair, they have since been used as a tourist hot spot. There are plenty of theaters, parks, sports facilities, and restaurants to enjoy. The San Juan Islands are some of the most famous islands that Washington has to offer. They spread over Puget Sound and vary in size from small getaway to thriving hub. Each of the four largest islands have a host of galleries, seafood restaurants, and parks. One of the most popular parks that the islands have to offer is the San Juan Island National Historic Park, where the British and American troops fought in the Pig War. One of the favorite pastimes for visitors and natives alike is whale watching. Puget Sound is Orca territory and hosts an abundance of wild mammals. Learn more about San Juan Islands. Mount Rainier is a must-see for visitors of Washington. The mountain stands at 14,410 feet tall and makes up a chain of volcanoes in the Cascade Mountains. Visitors can take in views of dense forests, volcanoes, and waterfalls. People in the area often enjoy backpacking, camping, climbing, wildlife-viewing, and snowshoeing, when the weather allows. Learn more about Mount Rainier. Leavenworth is known as the Bavarian Village and has a very large German influence. The residents celebrate their heritage with pride and can often be seen wearing lederhosen, knee-length shorts made of leather. There are many events throughout the year inspired by their German heritage, including Oktoberfest. If you do not visit while a large event is going on, there are still several places to enjoy. Leavenworth has several activities to enjoy including wine tasting, yoga, spas, geocaching, and visiting the parks, breweries, vineyards, and museums. On your visit, you will not be without great produce. Leavenworth is best known for its organic pears, but is also rich in apples, cherries, apricots, strawberries, and many more delicious fruits. Jimi Hendrix and Bing Crosby were both born in Washington. Zillah, Washington hosts the oldest operating gas station. 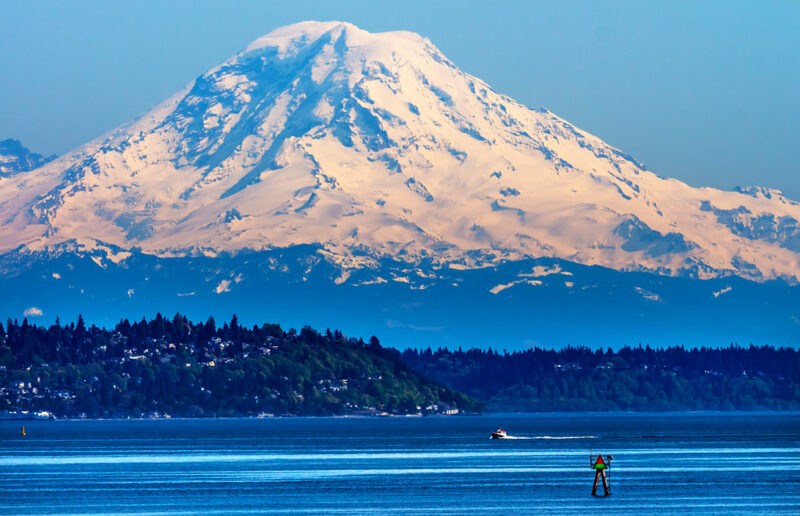 There are more glaciers in Washington then there are in the rest of the continental U.S.
Washington produces more apples than all the other states combined. Washington is the only state to be named after a former president. Pictionary was created in Washington. Three ships in the Navy have been named after the state. The state does not levy personal income tax. Washington became the official 42nd state on November 11, 1889. Residents of the state are called Washingtonians. Starbucks was founded in Seattle, WA. If you are in need of vehicle transport services to or from the Washington area, contact National Dispatch today. We offer a free, instant car shipping quote on our website. Use our online car shipping quote calculator to receive an auto transport quote within seconds. Only fill out fields of information , and no personal information is asked of you. If you prefer to speak with someone by phone, call us at 800-321-2051.